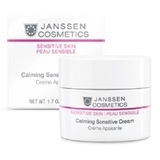 Skin-lifting care cream Firmer facial contours Smoother skin Radiant complexion Rich texture Apply Skin Contour Cream onto the cleansed skin of the face and neckline in the morning and/or evening. Tip: Can be used as night care in addition to the rapidly absorbed Skin Contour Formula lotion. 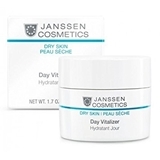 Janssen Bio-Fruit Gel Exfoliator is a biological peel designed for oily and blemished skin. This exfoliator sloughs away dead skin cells and excess sebum, clearing and cleansing the pores. Skin is left looking refreshed and healthy. Benefits: * Removes dead skin cells and excess sebum. * Creates an anti-bacterial and anti-inflammatory effect. * Clears and cleanses pores in acne-prone skin. * Clarifies and purifies oily skin. 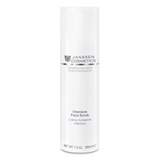 * Smoothes fine lines in photo-ages skin. 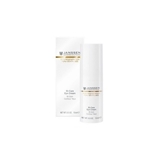 * Lightens skin discolorations. 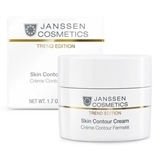 Janssen is a German cosmetics brand manufactured by Janssen Comsmetics. JANSSEN COSMETICS is a leading international manufacturer of professional beauty products. The well-structured range of retail products offers to consumers safe and efficient preparations for all specific needs of any type of skin or any skin problem. Peeling cream with crushed apricot granutes. How To Use: Apply onto cleansed skin 1 – 2 times per week. Massage in gently for a few minutes with moistened fingers. Then remove thoroughly with warm water. Tip: Any use of a peeling product causes the epidermis to become thinner and sensitizes it towards UV light. 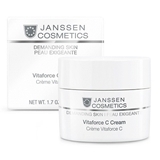 It is therefore vital to ensure adequate UV protection and apply Face Guard during the day. Only then apply the care cream on top as usual. 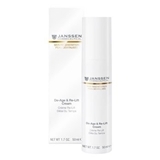 Product code :m620 ENERGIZING HYDRO-GEL Refreshing, moisturizing cream gel for daily use. SKIN TYPE : For all skin types ACTIVE INGREDIENTS • Codium Tomentosum: Atlantic algae from the coast of Brittany, rich in minerals, vitamins and trace elements, moisture providing, revitalizing • Hyaluronic acid: moisture providing, locks in moisture • Panthenol (Pro-Vitamin B5): improves regeneration of the skin, builds up the skin's own natural barrier, soothes skin irritation • Vitamin E: free radical scavenger, protects against light induced aging HOW TO USE : Apply ENERGIZING HYDRO GEL onto cleansed skin in the morning and evening.